We all know that as we get older, some parts of our brain become weaker and can lead to senility or even dementia. Early signs of dementia, however, are difficult to detect. But the main question here is how you can easily distinguish if one is suffering from dementia or not. Do you know that you can find it out in less than a minute? Here's how. Our friends asked me if there are simple ways to tell if their old parents are suffering from dementia. In fact, you may even hesitate to take your old parents to your physician. But here we'll tell you how you can simply check if one is suffering from dementia even while you're having dinner with your family. I am sure you already know how important it is to detect such illnesses early on before it is too late. Even for diseases like Alzheimer's and dementia, there are ways and appropriate solutions to stop it from getting worse and to achieve immediate recovery. If you visit clinics or hospitals, patients may be subjected to screening tests of different methods. 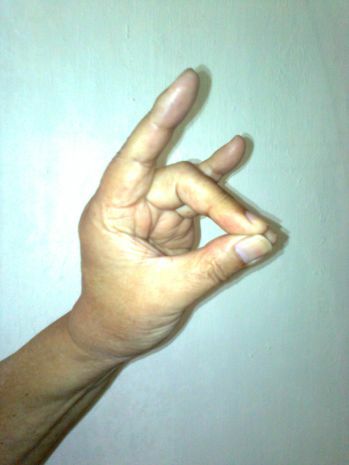 As you can see from the illustration above, make a dog or fox figure using your hand and have the patient follow and imitate it after a few seconds. Now most patients can follow and imitate this figure quickly regardless if they are suffering from dementia or other type of memory disorders. 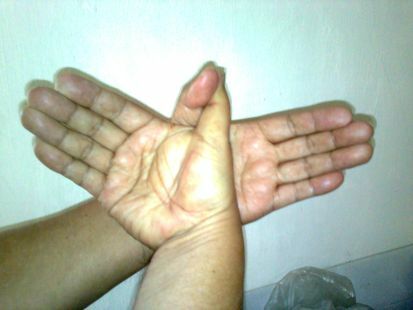 Once it comes to the above bird-like figure, almost all dementia patients fail to imitate it after 30 to 60 seconds. 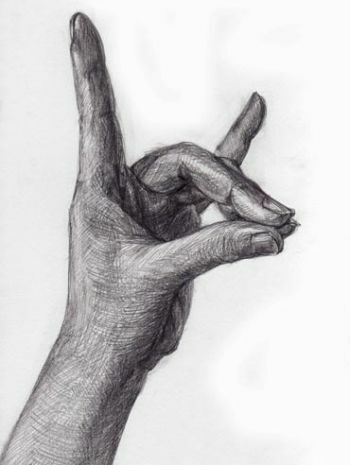 They will just wonder how they can bring and fix their hands to look like the above figure. In fact, a region of the brain called the “parietal lobe” show signs of degradation or damage among people who are suffering from Alzheimer's disease. The parietal lobe is responsible for some reasoning, reading, and visual functions. If the parietal lobe is damaged, the ability to recognize the position and orientation of the object seen will be difficult and inaccurate. 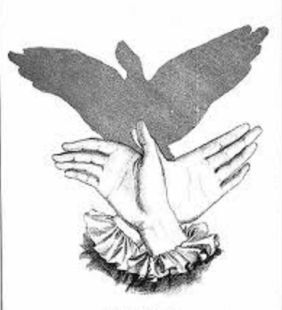 Therefore, imitating the hand figures like the bird figure above will likely become impossible. We have received several information about Alzheimer's remedies from our scientist and doctor friends who practice “green tea and milk” treatment to improve memories as well as brain functions. Green tea is a well-known healthy alternative to black tea and coffee. However, if you grind the tea leaves to form a paste while mixing it with milk, then you can drink it just like that of coffee, and taste will be better. It will give you more memories and nutrients to your brain. Indeed, it will become a powerful healthy beverage! About 2-3 grams (one teaspoon) of ground tea leaves and 1/3 cup of hot water and 1/3 cup of milk are all you need. It's up to you whether you want to add sugar or honey. Tea contains catechin and carotene, which are the main nutrients our body need from green tea. Remember, green tea should be grounded until it forms a paste with some drips of water. By mixing it with milk, these catechin and carotene will be absorbed efficiently by the brain. Once again, Green tea and Milk is the answer! 1. "PYRO-ENERGEN Treatment Against Alzheimer's Disease"
3. "Lewy Body Dementia - The Second Most Common Cause of Dementia"